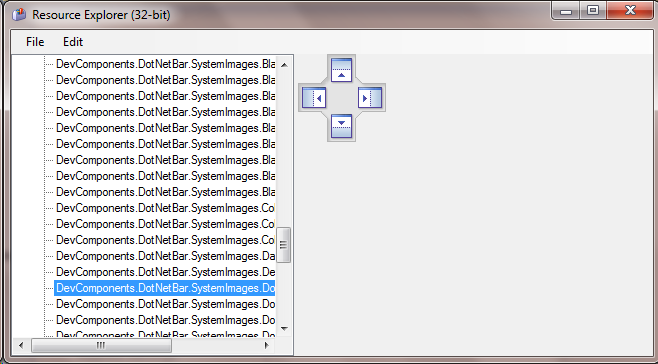 This tool will let you see what resources have been compiled into your .NET assembly. This can be useful to find out the names that have been given to resources if you need to programmatically extract them or if you want to explore the resources in other people's assemblies. It's not possible to open a 32-bit assembly from a 64-bit application and vice versa, so there are two versions of the application depending on your needs.